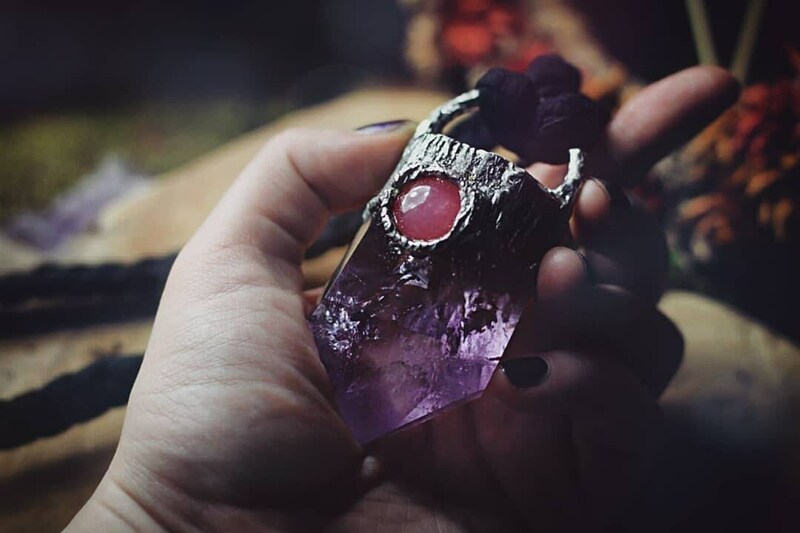 This beautiful amethyst is framed with a handmade soldered frame. It comes on a beautiful braided cord made from upcycled fabric. Amethyst carries a beautifully calming energy and will make your eyes sparkle.